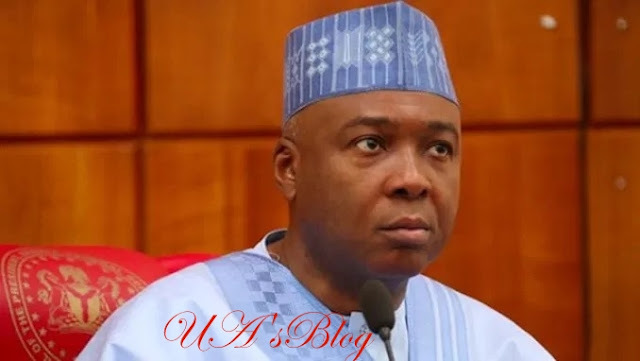 2019 presidential aspirant and the Senate President, Bukola Saraki, has said that the federal government is trying to implement his initiative. Speaking when he appeared before the Southern and Middle Belt Leaders Forum at the Abuja residence of Ijaw leader, Edwin Clark, a presidential aspirant of the Peoples Democratic Party (PDP), Bukola Saraki said that the current administration is trying to implement his blueprint on commercial farming. According to TheCable, Saraki said when he spoke on the idea as a governor, he was criticised, adding that government has to create the environment for the private sector to flourish because it cannot do it alone. He said: “Seventy percent of our population are young people. Government alone cannot take us there. Saraki assured the elders that he has what it takes to turn around the fortunes of the country, adding that leading the country is not a part-time job, insisting the occupant of the highest office must be youthful, energetic, and vibrant. “Secondly, more importantly, I think what has been one of our major problem is capacity. I think over the years we have voted on sentiments. We have left capacity and ability, and used sentiments to decide who leads us. That is why we are where we are today. “But we need Mr. President that has the capacity, that has the vision that can drive and perform. Without capacity on the part of the leadership, Nigeria cannot progress even though God has continued to blessed the nation. There is no country that can provide for its people, take them out of poverty the way we are going about it.